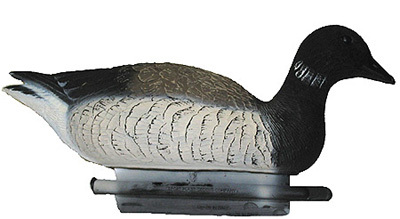 This decoy is one that many sea duck hunters have been looking for, this brant decoy by Sport Plast, a company that has been making decoys in Italy for over 50 years has brought this beautiful decoy to the United States for the first time. 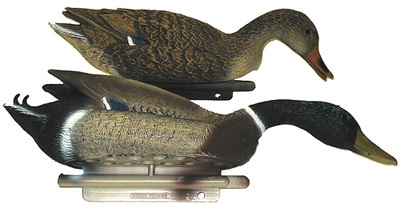 This weighted keel decoy measures 21" from tail to beak and is aprox. 8 1/2" wide. 1 head position.